Chef Taylor Drew wasn’t a trained farmer when he and his LoHi SteakBar partner Joe Pettenger started Forever West Farms. But as a chef, Taylor has been dedicated to using locally-grown produce and has always been interested in learning more about farm-to-table practices. 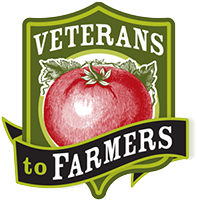 After taking a Veterans to Farmers course which focusses on connecting veterans to a farming career via a 10-week, 150-hour training program, Taylor decided to turn his dream into reality and began looking for land to start his farm. 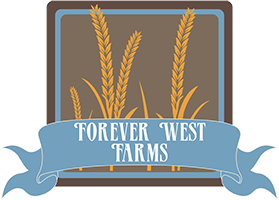 In 2018, Taylor and Joe opened Forever West Farms in Brighton, Colorado. The 15-acre Market Farm grows 25 varieties of heirloom vegetables as well as 25 different Heritage Grains. The produce is used in many dishes at LoHi SteakBar and is also picked fresh for use in farm-to-table special dinners in which Chef Taylor is cooking on behalf of LoHi SteakBar. Much of the produce is also available for purchase in the market at LoHi Local. Drink for free (up to $30) on your birthday!